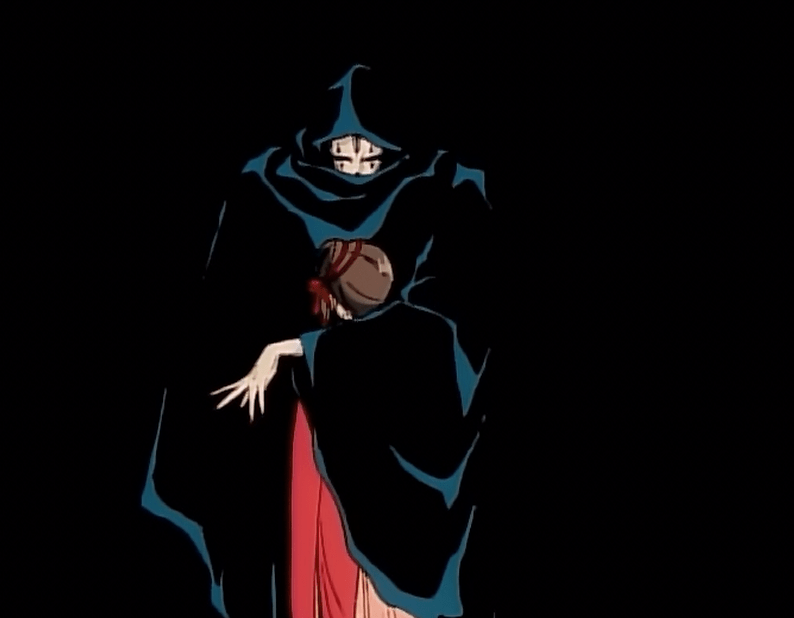 Vampire Princess Miyu is a four-episode OVA series that was originally released between 1988 and 1989. Created by Pony Canyon and AIC, it is based on the manga by Narumi Kakinouchi and Toshiki Hirano. 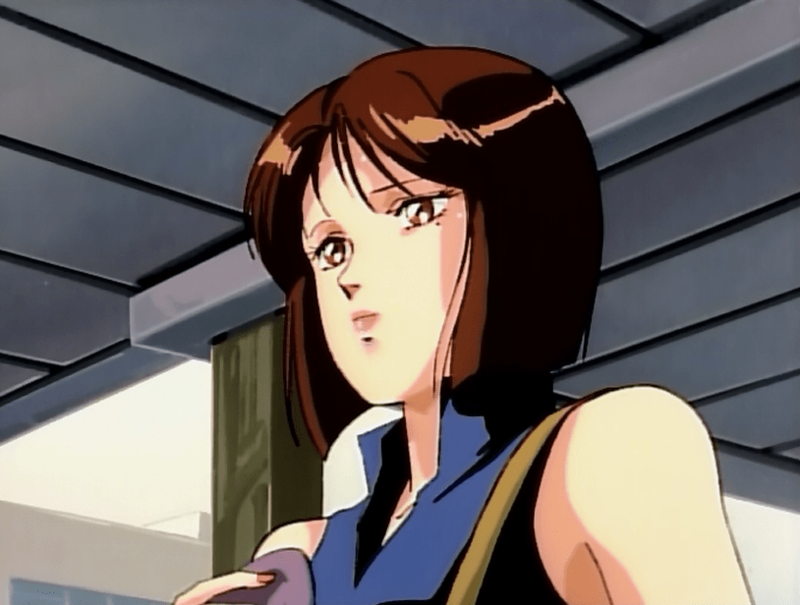 Hirano also served as the director of the OVA series. The story is told primarily from the perspective of Himiko Se, a spiritualist hired to perform exorcisms and similar practices. However, her job is fairly mundane, without many encounters with the truly supernatural until she takes on a job that has her cross paths with a mysterious girl named Miyu. In each of the first three episodes, Himiko and Miyu encounter demons called Shinma; beings from the dark realm that have invaded the human world and that seek to use and abuse humans for personal benefit. 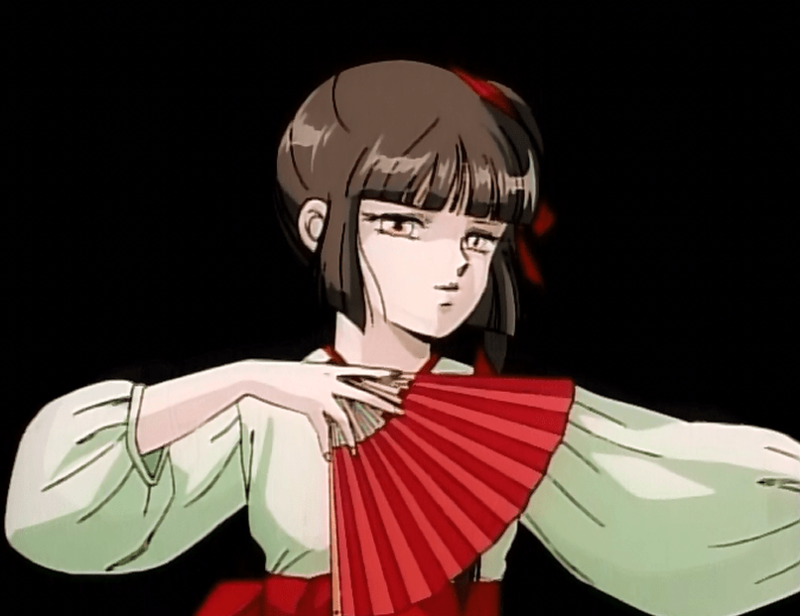 The fourth and final episode ties the series up with an exploration of Miyu’s past and origin, as well as some revelations regarding Himiko’s own past. Himiko is introduced as a cynical woman, despite her occupation as a spiritualist. As the title character, Miyu, from the perspective of Himiko, is an enigma. Like D of Vampire Hunter D, she is a dhampir, a half-human vampire. Bearing the appearance of a normal girl in her young teens, she is able to blend into human society with ease. But unlike D, who largely shuns his vampire heritage, Miyu doesn’t embrace it, so much as she’s forced to accept it and all of the powers her status bears. Charged with the role of guardian, it is her duty to hunt and return escaped Shinma to the dark realm, and she uses her powers to seal them away. Miyu is no ordinary vampire. In terms of her personality and attitude, Miyu carries herself in the playful manner of a young teen girl. It’s a subtle tone of character that in its own way adds to the dark tone of the OVA. Despite being a vampire that feeds on blood, she does not set out to torment; rather, her bite is capable of leaving humans in a state that appears lethargic and distant on the outside, but keeps their spirit in a state of blissful happiness. She is also immune to the stereotypical anti-vampire tools such as crucifixes, garlic, and holy water. Miyu, using her bite to bring eternal happiness at the cost of the real world. Miyu’s sole ally and guardian is Larva, a Shinma that traveled from the west with the ambitious goal to seek power in Japan. Though he intended to take care of Miyu before her vampiric nature could truly awaken, he makes a miscalculation, and Miyu’s latent powers awaken in his presence. When she bites him, his fate is sealed, and he becomes her guardian, hiding behind a cloak and mask. Always cloaked and masked, Larva serves as Miyu’s eternal guardian. Despite the plot thread of Himiko’s repeated encounters with Miyu and Larva that serves as the main bridging point between episodes, the OVA’s presentation bears elements of monster-of-the-week TV shows. Each of the first three episodes sees the characters up against a different Shinma; in the first, it’s a vampiric Shinma of the more stereotypically deadly variety. Episode two sees a Shinma named Ranka that traps the souls of her victims in dolls, and whom engages in a twisted battle of love with Miyu, as they are both interested in the same human boy. 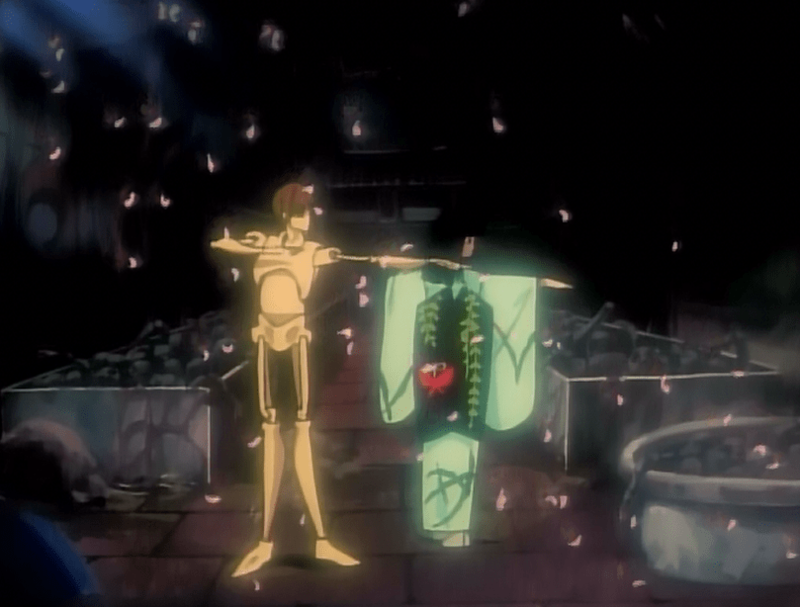 The third episode sees another western Shinma named Lemures attempt to free Larva from Miyu’s grasp, in the process using a human that has donned cursed armor and become confused, believing that he is a Shinma himself. The episodes are never as straight-forward as they might seem at first glance, making for a quartet of well-told ghost stories. 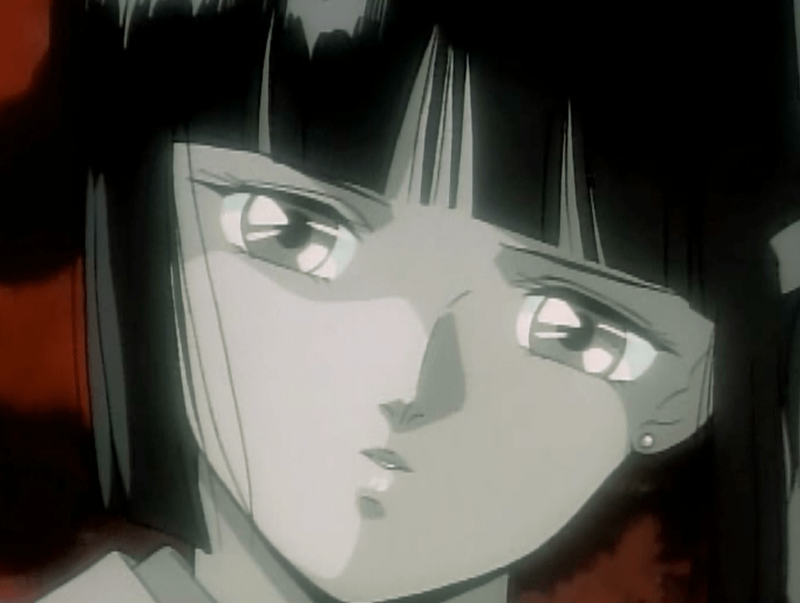 The final episode breaks from the pattern by focusing on Miyu and her past. Rather than see her fight another Shinma, it explores how she came to be and why it is she’s hunting them down. It depicts not only her awakening, but the effect that living with the knowledge and duties of the dark world has weighed on her vampiric mother, the previous guardian, as well as the tragedy of her human father. Miyu’s childhood innocence is shattered as her vampiric nature awakens. The artwork in Vampire Princess Miyu is beautifully detailed, with a strong use of color and memorable Shinma designs that vary between both human and inhuman. The production is backed by smooth, high-quality animation and art direction that maintains a consistently dark tone from one episode to the next. The soundtrack, composed by Kenji Kawai, is a classic, with a strong use of chimes and wind instruments that is a perfect match for the mood of the series. If there’s one downside to the OVA, it’s that there arguably isn’t enough of it. While the series is mindful enough to not wear out its welcome and ends on a suitable note, it feels like something that could easily go longer. 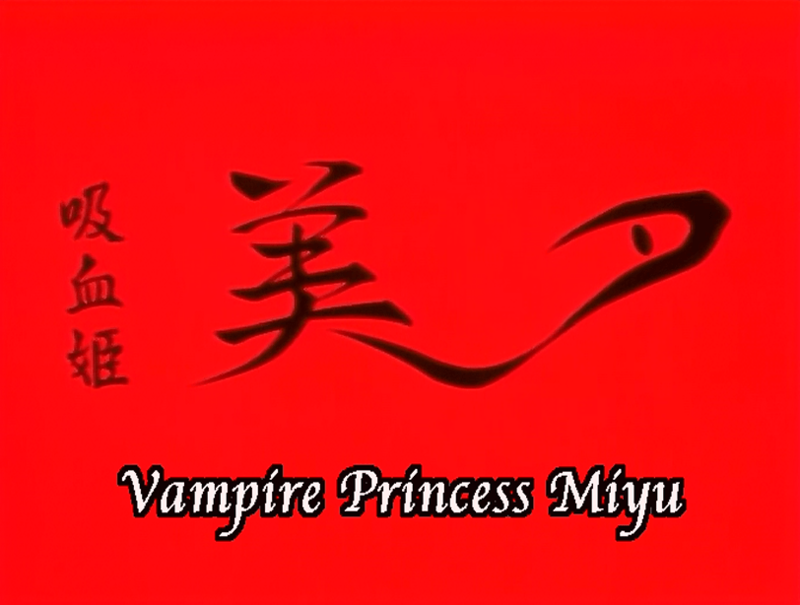 And in a way it does, as Vampire Princess Miyu was later adapted into a twenty-six episode television series that premiered on Japanese TV nearly a decade later. But we can talk about that a bit more next week. Vampire Princess Miyu is a classic entry in vampire fiction that stands on its own quite easily. In a field that’s dominated by low-rent vampire schlock and more recent literary examples of vampire romance, the OVA provides a peek into Miyu’s life and world and leaves the viewer wanting more. It’s easily recommended for anyone looking for good anime viewing for the Halloween season. 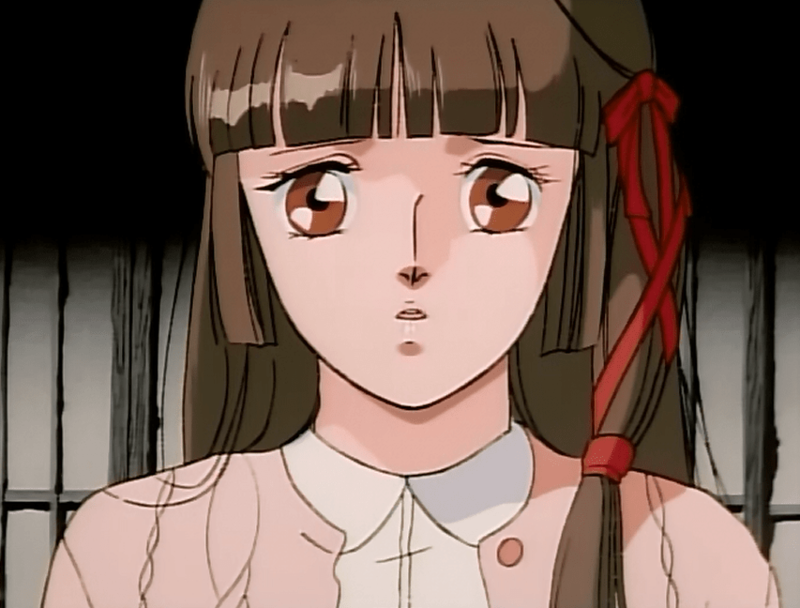 Vampire Princess Miyu was released on DVD in North America by AnimEigo. The release features both the original Japanese with English subtitles, as well as an English dub. The series is not rated, but contains violence.